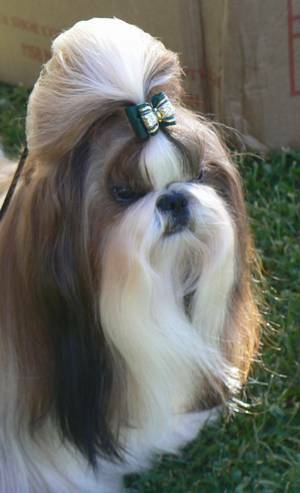 Reese is a stunning Red and White, with a wonderful temperment and is a outstanding quality Shih Tzu. I would like to thank his breeder for letting me own this boy. And I will enjoy showing this little man. Reese has been released from cell block 8, now home with us and fitting in well. We look forward to a wonderful future with Reese. 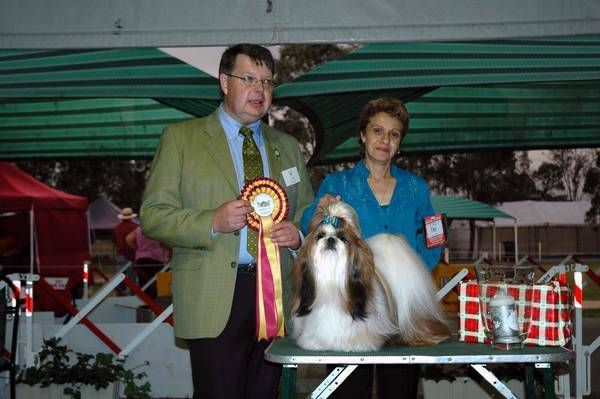 Reese wins Open in Show at November 06 Shih Tzu Specialty. Thankyou to Lise Bradbury who has titled Reese's first offspring, (Rose) Aust.Ch.Placky Guns N Roses. Reese gains his Australian Champion Title. 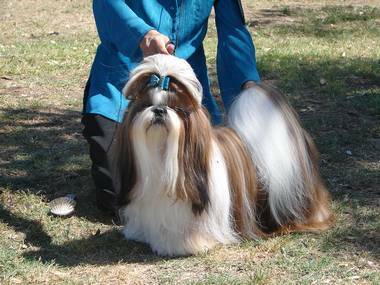 Reese has proven himself as a stud dog, producing stunning pups, With wonderful Reach and Drive, lovely dark round eyes, wonderful high set tails, and with wonderful temperments. I could'nt ask for anything else. Reese wins Runner-Up Best in Group on his first day out.